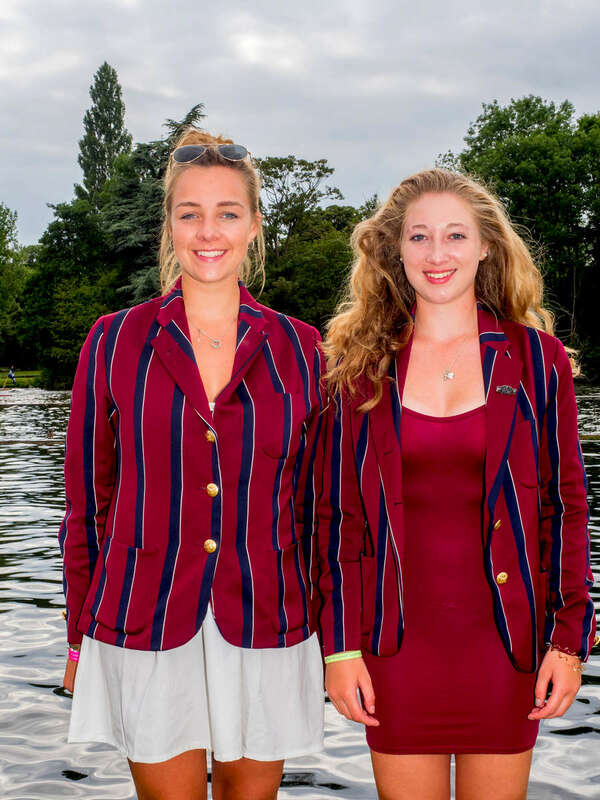 Georgie Lowe (left) and Lucy Walker, who row for Oxford Brookes University Boat Club, on the bank of the Thames at the Henley Royal Regatta. Henley Royal Regatta is a rowing event held annually on the River Thames by the town of Henley-on-Thames, England. It was established on 26 March 1839.